From mass to retail requirement fulfillment, we can do it all. Our organization has a widespread trading system to offer our patrons with the goods all year round and make scheduled delivery. With the aid of our well-established network and cordial associations, we are able to cater to the wide requirements of the buyers based in Mumbai(India). Application : To be used along with analog or digital, standard or master, vacuum or pressure, gauges or indicator for checking and calibration of air operated sensors, manometers, gauges, indicators, controllers, transducers, transmitters, recorders and data loggers. 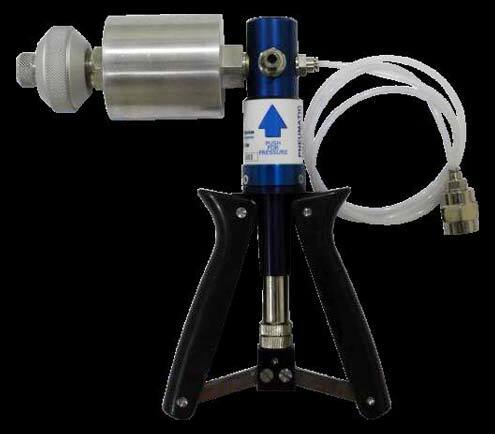 Features : Compact, lightweight & hand operated, Generates pressure as well as vacuum (user selectable), thro’ hand operated scissor action pump, Vernier with fine adjustment enables precise setting, Recommended strictly for air / pneumatic applications only. Set of Nylon Washers : 1/8”, 1/4”, 3/8”, 1/2” - each 5 nos.